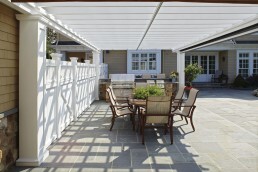 This is a beautiful outdoor dining area near Morris Plains, New Jersey protected from sun and rain with a ShadeFX retractable canopy on a Walpole Outdoors pergola. The height of the pergola was set according to the height of the eaves on the cabana, so the overhead clearance appears a little low for the area covered. 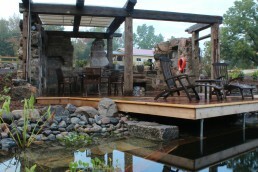 This is an example of the compromises one faces with most installations that are attached to a structure. 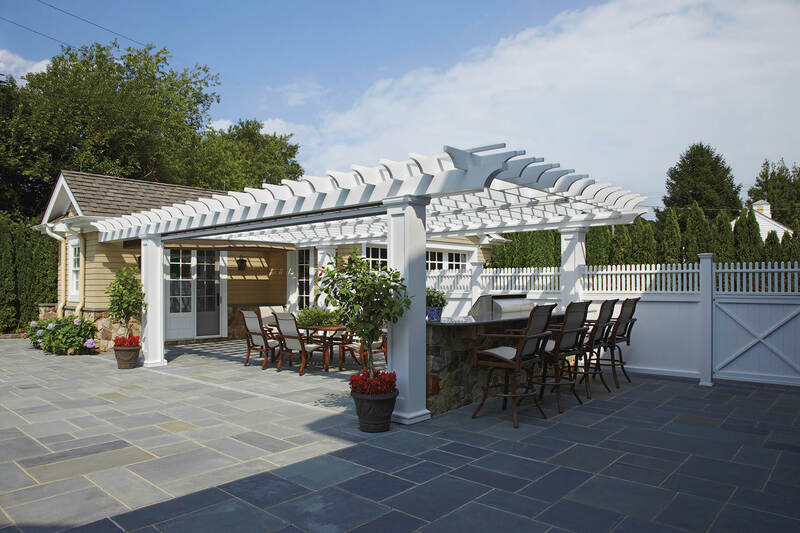 Some of the things to consider are the height of eaves, locations of windows and doors, fixtures that may be mounted to the wall etc. 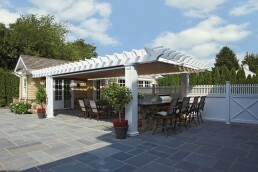 Another option for this installation would have been to raise the pergola for overhead clearance but the appearance would be incongruous with the line and style of the cabana. We think this choice looks fantastic. 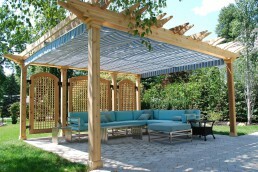 The relatively low clearance style of this pergola enhances the shade and rain protection. 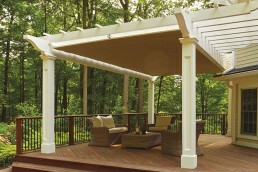 The lower the retractable canopy, the better the protection from sun and rain coming in from the sides. This homeowner did have a need to protect from low sun coming in from one side and chose to use a retractable screen for protection. 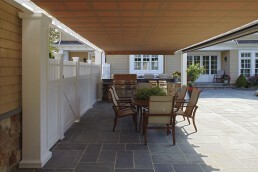 Curtains and screens are a great way to add style, privacy and that extra measure of protection from the elements. 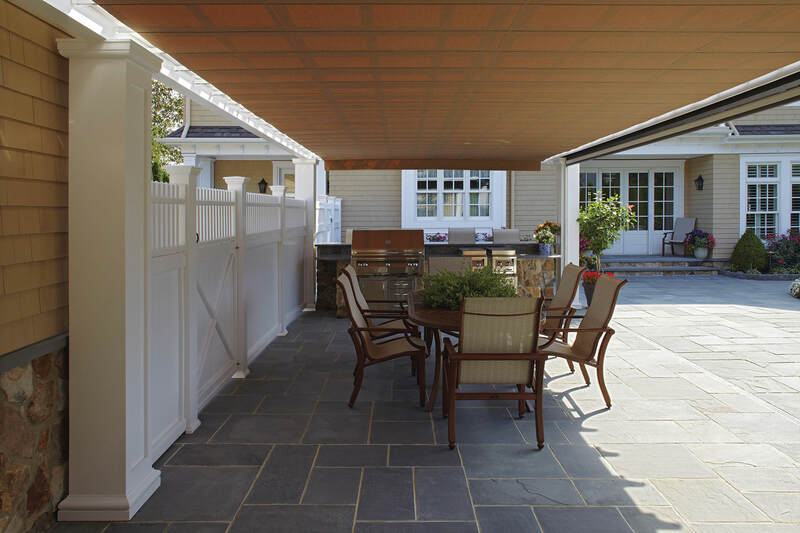 This is a beautiful outdoor dining area near Morris Plains, New Jersey protected from sun and rain with a ShadeFX retractable canopy on a Walpole Outdoors pergola.